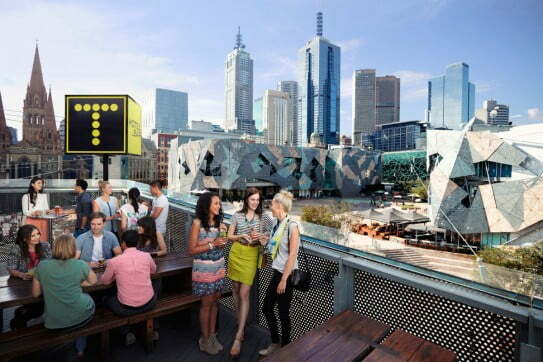 Find our cheapest flights to Melbourne from Auckland, Wellington, Christchurch, and Queenstown. 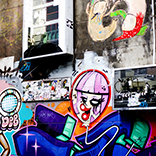 Melbourne welcomes you with exceptional food and urban fashion, ingenious museums and dazzling live music, powerful architecture and radical street art. The city's skyline tells the story of the variety that lies within. Ornate heritage buildings are balanced by new constructions that play with your mind. Eureka Tower has angles that defy belief, while Federation Square borrows shapes and colours from Australia's outback landscape. The city's creativity continues with the people who live in it, materialising as amazing food, cultural and shopping experiences. A holiday in Melbourne is stimulating from every angle. Air New Zealand flies non-stop from Auckland, Wellington, Christchurch and Queenstown to Melbourne. On all flights you have a choice of Seat, Seat + Bag and The Works fare types. Works Deluxe, Premium Economy and Business Premier are also offered on selected flights from Auckland. 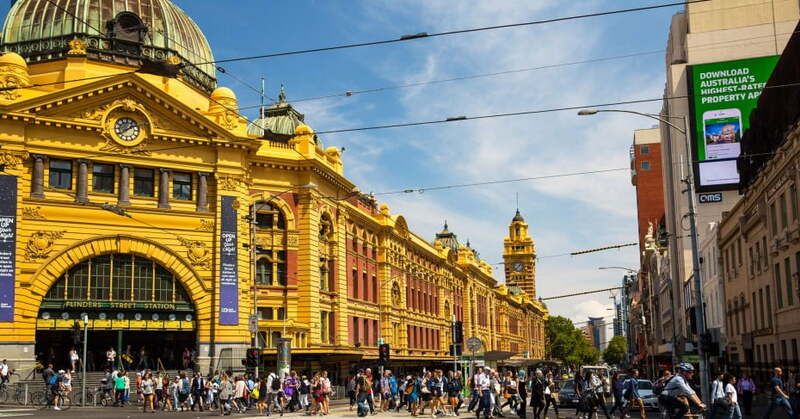 Whether you're planning to visit Melbourne for the first time or organising your umpteenth trip, holiday satisfaction is a sure thing in this exciting city. You can base yourself in the CBD, either side of the river, or get a refreshing coastal view at St Kilda. An efficient public transport system - trams, buses and trains - makes getting around Melbourne quick and easy. 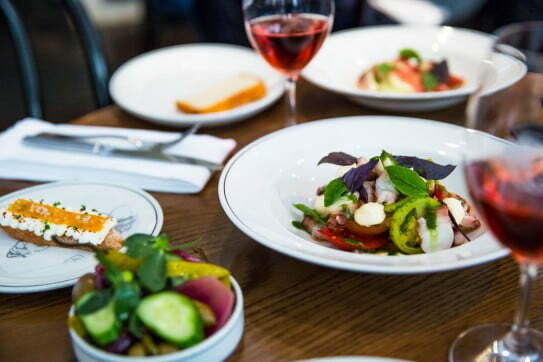 If you love culinary excellence, expect to have your mind blown in Melbourne. Acclaimed chefs are drawn to the city by the experimental dining scene and abundance of quality fresh ingredients. You'll find brilliance at every level, from quick food truck eats to fine dining at an awarded degustation restaurant. Fantastic ethnic eating is easy in Melbourne - just point yourself at Lygon Street for Italian, Chinatown for Chinese, Lonsdale Street for Greek or Richmond for Vietnamese. For a magical mystery experience, book a food tour - you'll cover a lot of flavours and textures in a short amount of time. And at the beginning or end of any evening, find a rooftop bar for a big view of the city's great architecture. Every holiday deserves an indulgent moment you'll remember always, so get onto the booking alert list for multi-award-winning restaurant Attica. Owned by New Zealander Ben Shwry, this restaurant showcases the best of Australasian cuisine with dishes that truly capture the uniqueness of downunder. Pack light for your Melbourne trip, to ensure there's plenty of room for the clothes, knick knacks and homewares you'll no doubt acquire during your stay. Maybe you could even forget something significant on purpose, like a dressy or outdoors jacket, to give yourself an excuse to go shopping. If getting the best bang for your buck is a shopping priority, Melbourne has vintage markets, DFOs (Direct Factory Outlets) and great-value chain stores. For a luxury purchase or some glorious window shopping, check out Collins and Little Collins Streets, Chadstone, and Emporium. Shopping can also encompass sightseeing, especially in historic retail centres like the Block Arcade and the Royal Arcade. Make sure you linger for coffee or high tea, so you'll have time to enjoy the atmosphere that comes with these heritage arcades. Fantastic ethnic eating is easy in Melbourne - point yourself to Lygon Street for Italian, Chinatown for Chinese, Lonsdale Street for Greek or Richmond for Vietnamese. Culture is Melbourne's thing. Next to food, it's what the city is most famous for. So when you find yourself wondering what to do and where to go, think galleries, museums, theatre and live music. At the National Gallery of Victoria and Heide Museum of Modern Art you'll find mind-expanding paintings, sculpture and installations. Or see what's on at the Melbourne Museum - as well as permanent collections, there are world-class visiting exhibitions. For a window into the history of Melbourne and Australia, check out the Immigration Museum and Old Melbourne Gaol. The best theatrical productions in Melbourne are concentrated in the central city and on the south bank. The Regent, Princess and Her Majesty's Theatre host a mix of comedy and musical shows, while Malthouse Theatre and Southbank Theatre focus on contemporary and edgy productions. Any online 'what’s on' will bring you up to speed with current productions, or you can book ahead for upcoming shows. Live music is also one of Melbourne's strong points - on any given night, there are hundreds of musical moments happening around the city. Never-fail venues include The Old Bar, Ding Dong Lounge, Howler, Cherry Bar and The Tote. Jazz-lovers should aim for Bird’s Basement. If you've never ventured further into Victoria, make this your year for going beyond the city. You can pick any point of the compass - there are opportunities for day trips and short breaks in every direction. West of Melbourne is Geelong and the Bellarine Peninsula, for a beachy escape from the city. Or venture further to the old goldfields of Ballarat, with Mount Macedon and Hanging Rock along the way. If you have more time up your sleeve, consider the Great Ocean Road - you can drive all the way to Adelaide on one of the most scenic road trips in the world. Head north from the city if you fancy a leisurely time on the Murray River or a look around historic Bendigo, once the richest gold mining town in the world. Eastward is the Yarra Valley, where food and wine reign supreme, as well as a beautiful area of national parks and wilderness that’s simply called High Country. South from Melbourne is the glorious Mornington Peninsula, where Melbournians go for weekends and family holidays. There are beautiful hinterland gardens and outdoor attractions here, as well as coastal experiences like swimming with dolphins. If you're interested in low cost flights to Melbourne, we run regular special offers. You can sign up for low fare alerts to receive early notice of these offers. You can also sign up to receive regular email updates about cheap airfares, packages, competitions and exclusive offers. It's always a good time to fly to Melbourne. Melbourne weather is fairly predictable - rainfall is spread evenly throughout the year and temperatures are seldom extreme. Average highs range from 14°C in winter to 26°C in summer.